Police culture has for over half a century attracted interest from academics, students, policy-makers, police institutions and the general public. However, the literature of this area has proven to be diverse, sprawling and prone to contradiction which has led to an enthralling yet intricate body of knowledge that, whilst continuing to provoke interest and debate, has largely escaped any wider commentary. 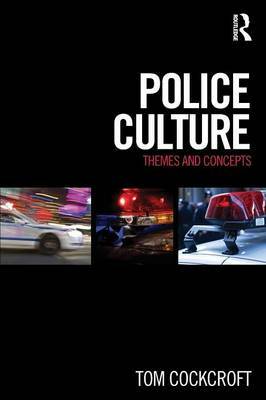 This book provides a comprehensive overview of the area of police culture primarily by situating it in the context of the literature of organisational culture. From this starting point, the idea of police culture is developed as an occupationally-situated response to the uniqueness of the police role and one in which our understanding is, at times, hindered by the challenges of definitional, operational and analytical concerns. The book then charts the development of our understanding of the concept, through traditional explanations to the contemporary, highlighting in turn the tensions that exist between the elements of continuity in the police world and those of change. Police culture: themes and concepts draws on research from the 1950s to the 21st century from the UK, USA and elsewhere to show how the historical trajectory of police work from its early origins through to the late modern present have imbued it with a complexity that is undermined by deterministic explanations that seek to simplify the social world of the police officer. This book will be of interest to academics and students studying the sociology of policing as well as criminology.